Hello my fashionable ladies! 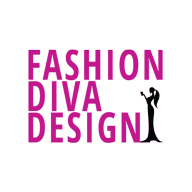 It is time to get the best tips from your Fashion Diva. And this time, I bring you a pretty smart solution for the hot summer days. Summer is the time when you constantly wear your hair up because of the heat. 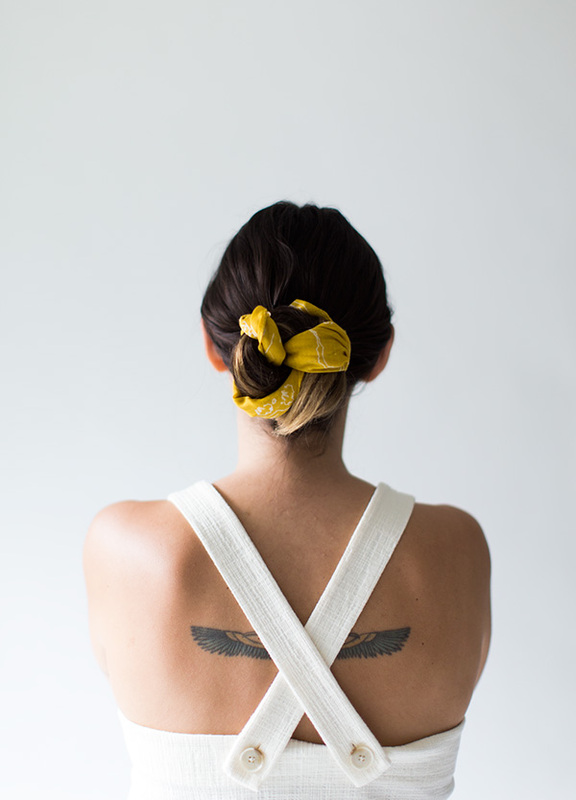 If you are tired of the boring bun, then I have some great ideas to show you. How about adding a scarf? It will freshen up your hairstyle and bring it onto a whole new level. 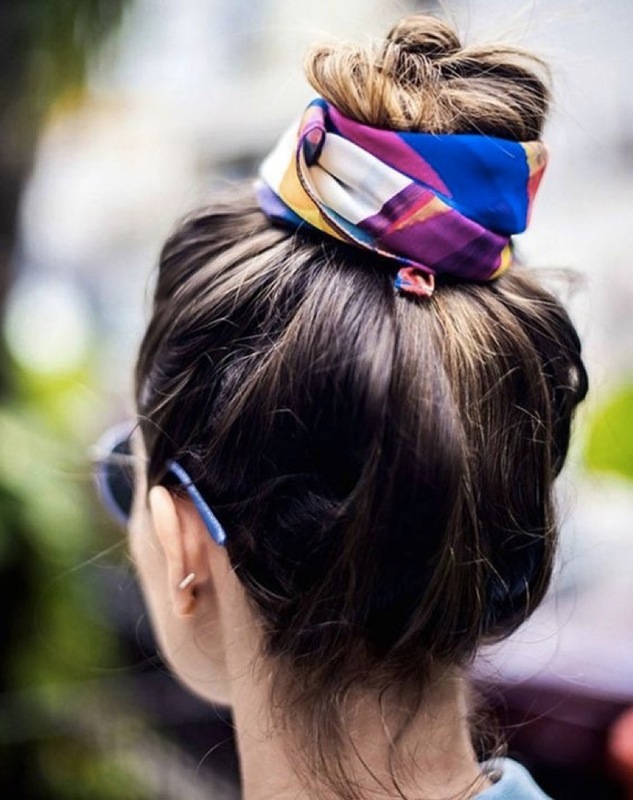 Check the awesome ideas and make your scarf bun now! Running late, but your hair is messy? Do not worry, as your small scarf will save you. 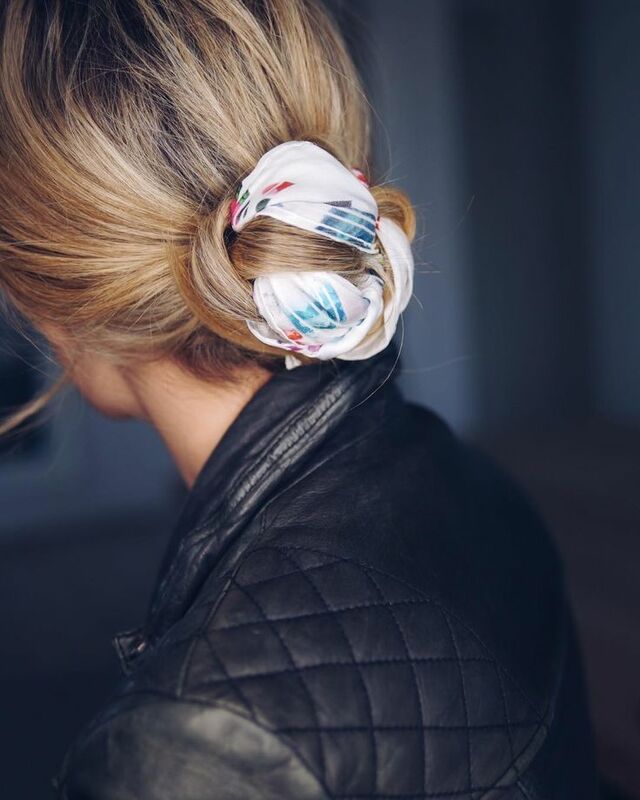 It can make a messy bun look so nice that you can wear it every day. 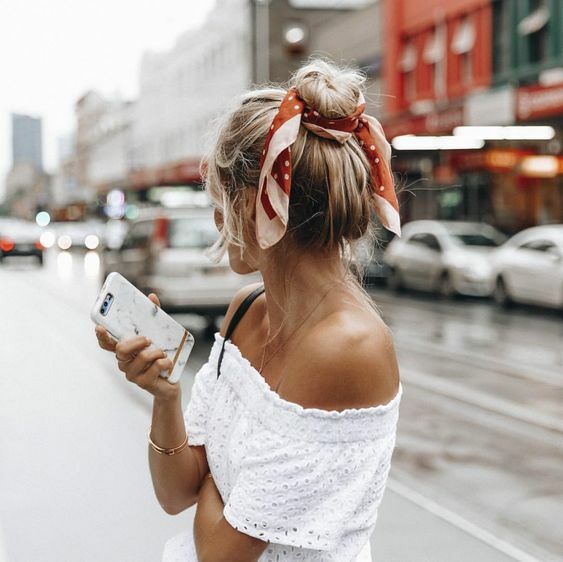 The best thing is that you can have lots of scarfs and match them to your daily outfit. 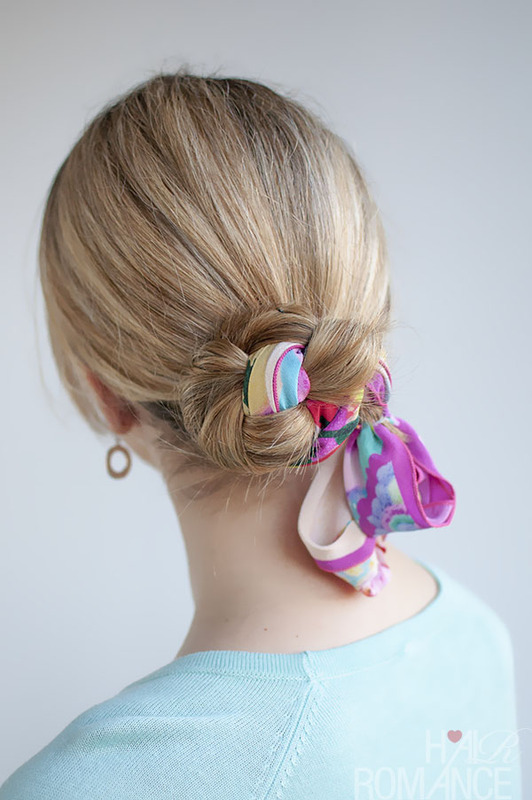 What a nice and stylish way to keep your bad hair days under control! 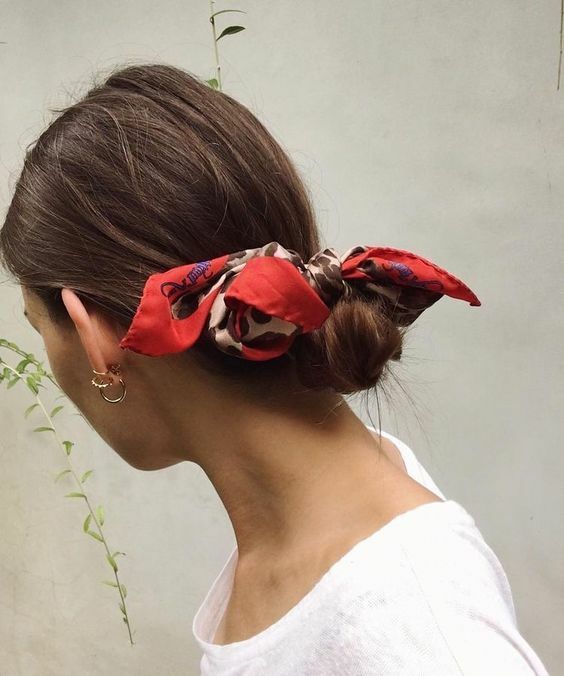 There are many ways to do your scarf bun. 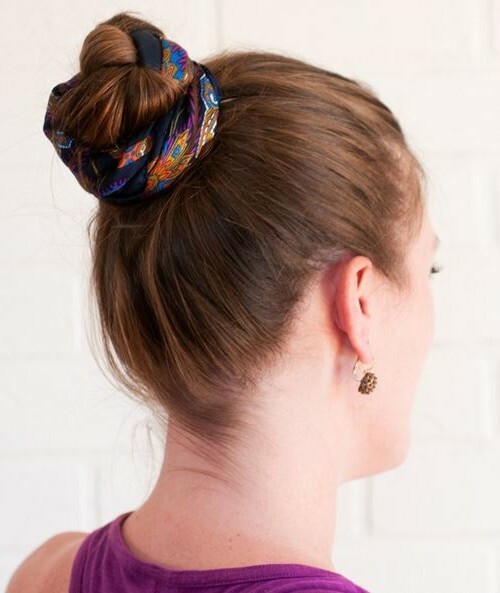 Just tie it around the bun , or wrap it around your ponytail before you do the bun. This way , you will end up with a nice looking twisted bun. 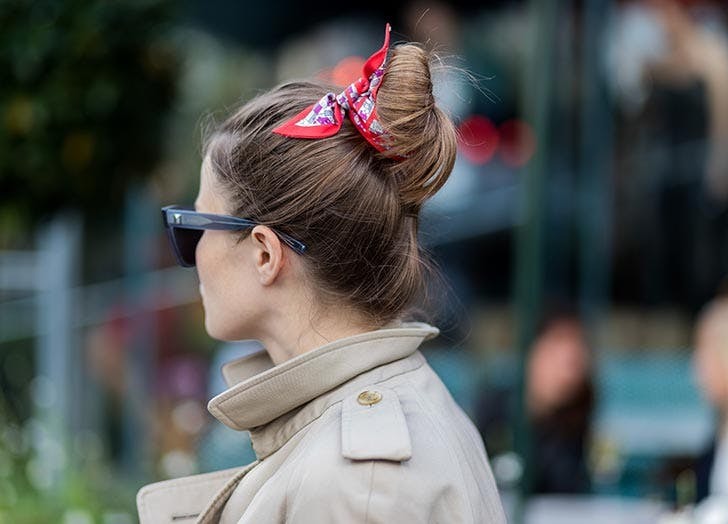 Low or high bun, it does not matter. Your scarf bun will work anyways. Wear it with a casual summer dress, or with big earrings for a night out. 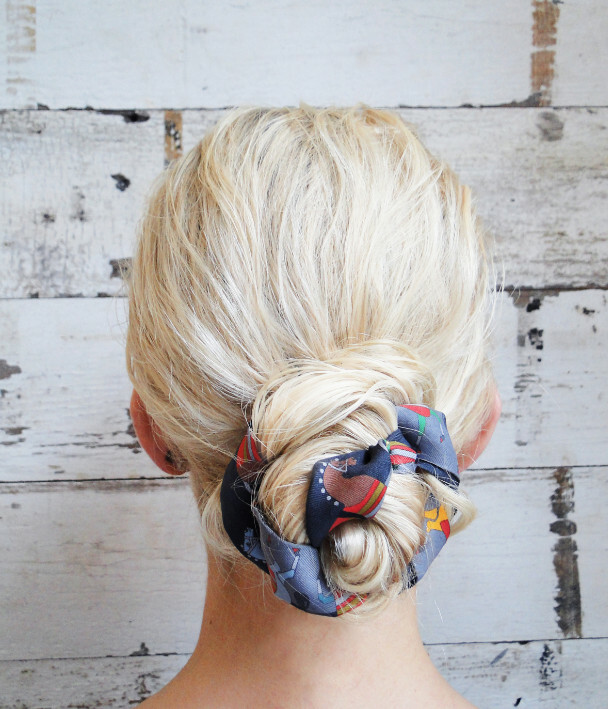 A simple scarf show to be a great addition to your hairdo. 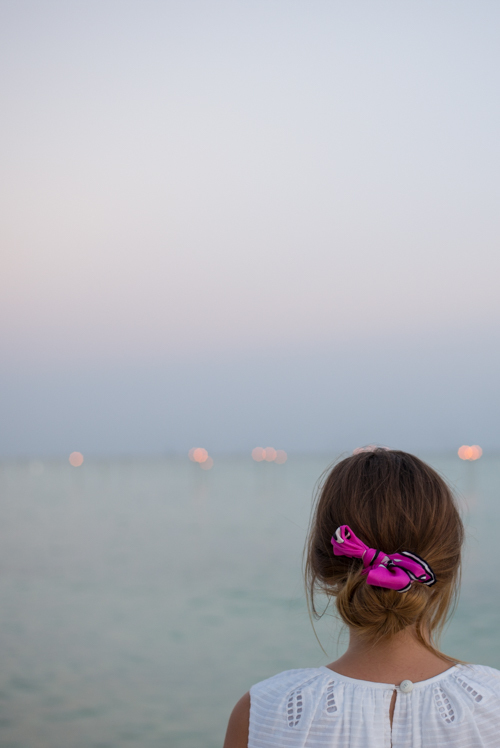 With this simple accessories, you can create a nice hairstyle for any occasion. What do you think? 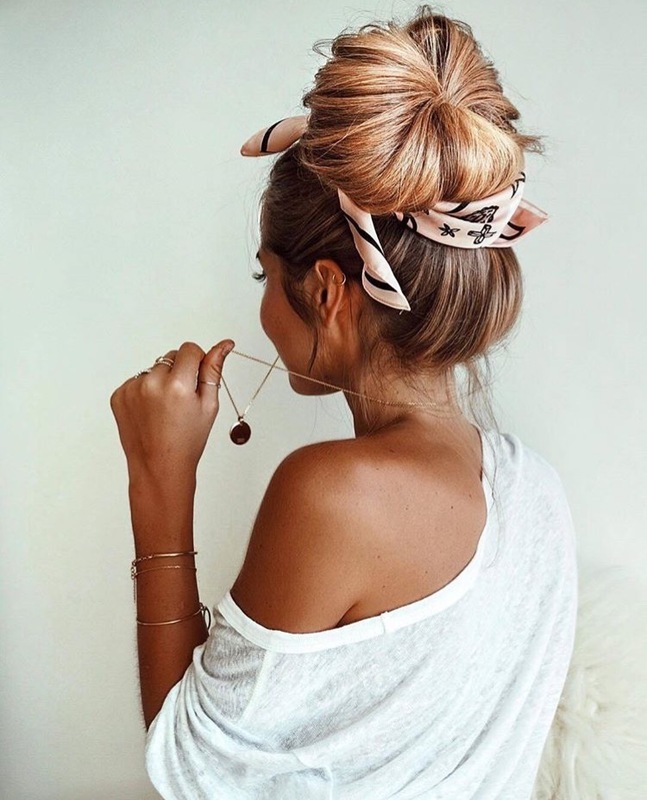 How would you style your bun? Feel free to share it with us in the comments. Previous Previous post: What Can Make You Look Different This Season?